Isoman is a new event this year. The aim is to equalise the time spent swimming, cycling and running in a triathlon. 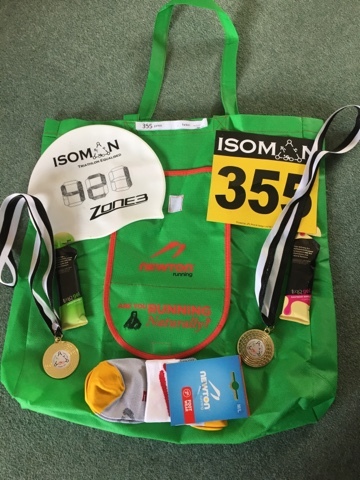 The full Isoman distance event was 7 mile swim, 61 mile bike and 26.2 mile run. It was possible to enter the full, half, quarter triathlon or to just do one event or mix and match. As there are not many road marathons at this time of year I decided to do the marathon. My sister is into long swims so she said she might do the 7 mile swim then proceeded to talk me into doing the 1.75 mile swim! This was 4 weeks before the event. I hadn't swum since last summer and over the last 4 or 5 years since I have run more I have only swum a handful of times each year (in the summer or if I have been injured). I wasn't convinced 4 weeks was enough time to prepare and have never done an OW swim before so made a plan - swim a mile at the pool then if I could do that have a go at Sixhills lake where I could hire a wetsuit. 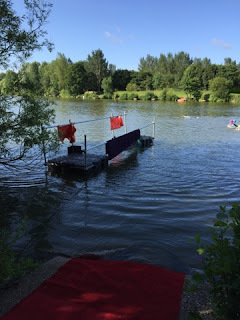 The 1 mile swim went OK apart from cramp near the end so a few days later it was to the lake. I was a bit scared getting in but before I had finished the first lap (650m) I was relaxed and enjoying it. I ended up doing 4 laps and felt I could have done more but time was out. I was now confident that I would beable to do the 1.75mile swim - the marathon after might be interesting though! The next time I went to the lake I did 6 laps (approx. 2.5miles) and again felt I could have kept going. After another 2.5 mile swim I starting thinking that maybe I should go for the 3.5 mile swim at Isoman instead so that's what I entered! The event was on Saturday, Friday evening I was entered into a 10km ( I hadn't realised that it was the same weekend). Phil rarely does races but this is one I liked so I didn't want to miss it. I was meant to take the 10km easy, I did to begin with but then got carried away trying to pick off the ladies ahead. Finished 2nd lady at the 10km which I was quite surprised by as it was a big race and I am not exactly in race shape at the moment. The 7 miles swim started at 7am; 3.5mile at 9.30 and 1.75 mile at 10.30. I was a bit nervous as I had never swum with so many people before. The lap was just under a mile so for 3.5 miles I had to do 4 laps. I had no idea if it was accurately measured and had worked out that if I was swimming really well and drafting (apparently that can make you go faster) and the course was a bit short then I would be just starting my 3rd lap as the 1.75mile race was starting. I did not want that to happen as that could be quite scary them all coming charging past / kicking/ swimming over me etc. The race was chip timed; the chip was around our wrist, we needed to hit the carpet with the chip at the end of each lap! 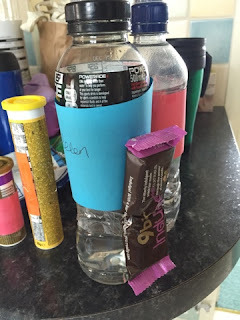 About 3/4 around the lap was a jetty where we could put our own bottles but they also provided drinks bananas and gels. About 10 mins before the race start we got in and very quickly, before I had chance to panic too much we were off! I made sure I started near the back and as it was a wide start I didn't experience and kicking or hitting or knocking off of goggles! After a few minutes I looked behind and saw a few people - I am not very fast so was worried about being last! The lap was a kind of triangle with 4 big buoys and a few footballs to follow. On the first lap I just followed the people in front. 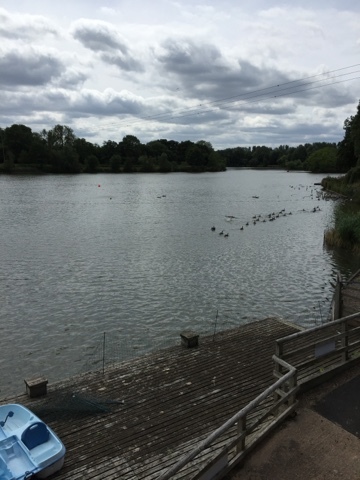 I spent quite a lot of this lap feeling bad about being at the back but when I told myself to think of it as a Saturday swim at the lake rather than a race I was able to relax and enjoy it. Every so often someone in an yellow hat (7 mile race) would go past but it was never busy just the odd person every few minutes. 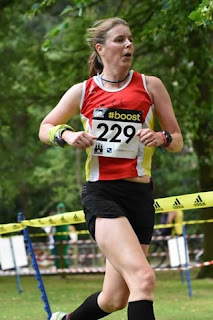 I didn't really need to stop for food/drink on the first lap but I thought I might need something before the next opportunity (in training I had been getting cramp quite a lot which I think may have been dehydration or lack of electrolytes). I stopped for my bottle but it was not where it should have been so it took a while to find (it had found its way under someone's big bag!). Had a drink and banana and was on my way. I was pleased that when I got to the end of that lap 33 minutes had passed so even with a slightly quicker stop next lap I would be over an hour for 2 laps and therefore miss the rush of the orange hats (1.75miles). Now that I had done one lap and knew what to expect I could enjoy it more. Occasionally I felt bad about being way behind everyone else and at the back but mostly I was able to just enjoy it. I made an effort to look out for the buoys rather than following as I knew the last lap would be very quiet so I couldn't rely on following others. 2nd and 3rd lap were uneventful, just plodding along from one buoy to the next stopping at the jetty for some food/drink and generally enjoying it. The last lap was very quiet as most people had finished and those remaining were spread out. I did pass a few people so at least I knew I wasn't going to be last in the water. Coming up to the 3rd buoy was a bit of a problem as I couldn't see it. I had to keep stopping and taking off my goggles to look for it but there was no sign of it - I thought it must be my eyesight but later found out it had blown away!! I knew roughly where I should be going and could see some ducks/geese/swans in the distance so was getting scared - they had moved out the way earlier but now most people were out they seemed to be back. There was a safety boat so once I got closer I shouted and asked where to go so they directed me - luckily I didn't need to go as far as where the geese were! I didn't stop at the nutrition jetty on the last lap but someone with a white hat did so I was able to pass them. That made me happy as at least I knew I was not going to be last in the 3.5 mile race! As I hit the carpet (see photo on left) for the last time the clock stopped so I could take my time getting out but then got cramp as the photographer was trying to take photos!! Finish time was 2.19 which I was happy with. I had several hours break before starting the marathon so was able to get changed (sadly there were no showers)and get some food. Luckily the visitors centre had jacket potatoes as the only hot food at the registration area was a BBQ (it had veggie burgers but they were being cooked on the same BBQ as meat). It was quite a warm day so a 3.30pm marathon start meant it would be a warm one. I was not planning on racing this but taking it reasonably steady. I don't do many short distance races so my quads were a bit sore from the 10km the previous evening. Everyone doing a run who had not entered swim bike run started at the same time. There were probably only about 20 of us doing 3 different distances. The marathon was 4 laps. I had spoken to some people who had already finished the quarter Isoman who said they went wrong on the run so I was little worried but there was no need as it was well marked with arrows. I think those that went wrong just didn't look ahead; there were a few junctions which didn't have a sign but if you looked hard you could see something in the distance. 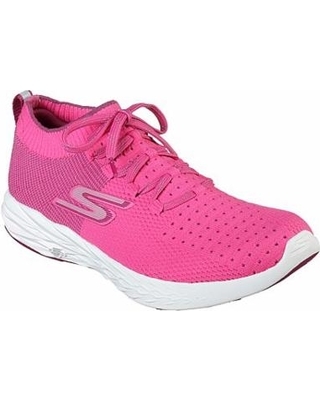 If you are racing 6.55 miles then you are probably going too hard to look properly which is why I think they went wrong. 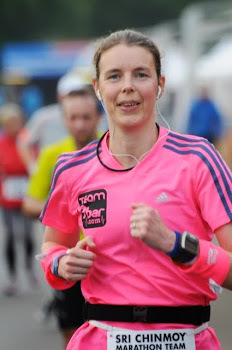 I quite liked the marathon course. a lot was around the park, a few bits on roads but mostly it was quite and was quite flat. There were a few hills but nothing long. I ran with a couple of people on the first lap and felt quite relaxed but was hungry after 4 miles!! There was a water station at the start/finish area and another on the course which you passed twice, luckily that one had gels (I think they had other snacks but I stuck with gels). Grabbed a gel after about 4 miles, it was really nice - torq raspberry ripple, I have never had torq gels before, these were a good consistency, not too thick and not too sickly (until the 5th one!! ), the flavour was lovely although I could have done with a bit of variety when having so many!! Felt quite relaxed on the second lap too but was getting hungry a mile or so after each gel so was having loads of them and a banana. Normally I have my first gel after about 14 miles but I had already had 3 by then today! Although I ate a meal after the swim I think I must have been starting depleted and struggling to catch up. Things started to feel more of an effort on the 3rd lap and were not helped by dodgy bowels which I had to have a quick stop for! There were plenty of other runners on the course as now the half and full isoman athletes were doing the run. There were a couple of out and back type bits where you can see runners coming in the other direction which is always nice. By lap 4 I was really low on energy and felt like I was running through treacle, the hills seemed massive ( I didn't walk them though) and I was so slow going up them! My legs didn't feel especially tired I was just low on energy. I did manage to do a bit of a sprint finish and crossed the line in 3.53 which I was happy enough with, obviously way off PB but that was not the aim of the day! My marathon time was the fastest ladies marathon time of the day although it is not really fair to compare my time with those who had done a 7 mile swim and 61 mile bike first!! This was a great first event, am already thinking of going back next year to do the 7mile swim and marathon.